As a part of excursion, a trip was organized by the Faculty of Nursing, SGT University; to Pratap Garh Farms for the students of second year B.Sc Nursing which were in total of 53 & accompanied by 3 Faculty members, Ms. Rijo Jacob(lecturer), Ms. Vandana Dagar (lecturer) and Mr. Sandeep( tutor). Pratap Garh farms presents the real flavor of rural India. The place is full of adventure, entertainment, sports, heritage, handicraft and cuisine. 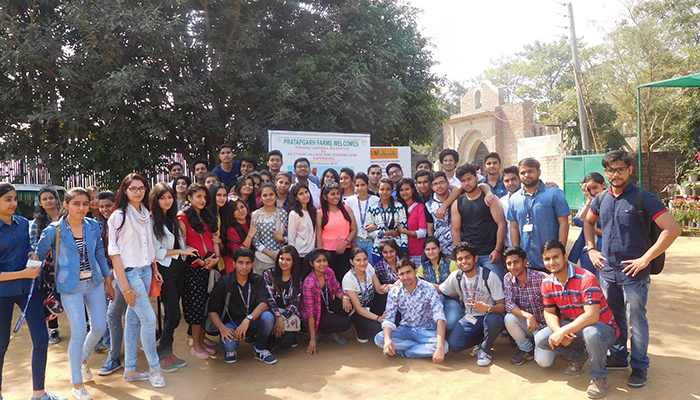 At Pratap Garh Farms, the students had a great way of enjoyment and adventure. The students went on doing the activities on their own which gave them a great feeling of independence and responsibility.